Here are a few of my favourite articles and blog posts from August 2018. 1. 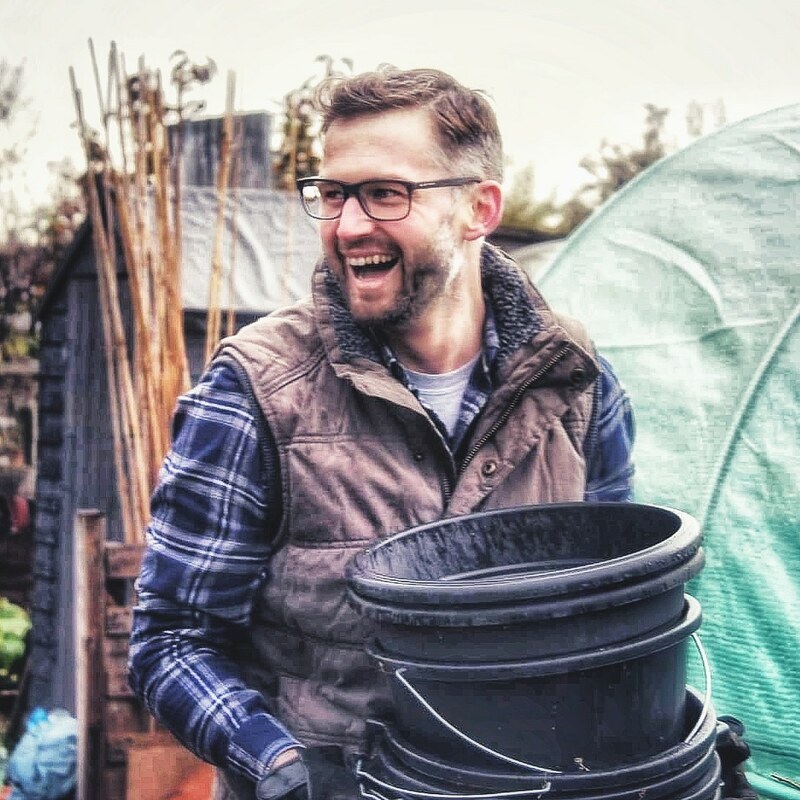 From Swindon to Seattle-creating connections through community gardening. If you’ve ever joined in the utterly brilliant twitter chat #shoutyhalfhour, where Twitter users follow along and provide their own uncensored commentary during Gardeners World, you will know it is the brainchild of Professional Horticulturalist Sara Venn. The reason #shoutyhalfhour is so popular is that Sara has the real-world clarity to understand what normal gardeners need. This is her passion. Real gardening, for real people in the real world and especially gardening that enables communities, enlightens those who are a part of those communities and enriches both community and their people in the very same process. I’m very lucky to call Sara my friend (in real life) and the concept behind this website encapsulates her plant and people passion beautifully. 2. It shouldn’t happen to a gardener! As much as I adore the connections made possible through blogs, Instagram and Twitter in the online world of gardening, I agree it sometimes means we see this world through rose-tinted spectacles. I’m not necessarily against this as it is often incredibly inspiring but not always useful for real gardeners. Which is why I loved the integrity of Steph’s blog post. It means a lot when a brilliant and hugely experienced kitchen gardener like Steph shows us that it’s not always plain sailing and there are problems. I genuinely believe these are the things that benefit us most. It doesn’t feel like that at the time, but it provides us with the knowledge to progress and become all the better in the future. 3. Cake and Community. There is an aspect of allotment gardening that is often as marvellous as their core objective of enabling us to grow our own fruit and vegetables. It is the creation of a community that, if nurtured, can exist and be a very powerful force that delivers something just as important as the crops that go in your belly. Read this, and see an example of exactly what I mean. 4. Summer colours (Tomatoes). It has not been a good year for me and my tomatoes. Despite this, posts like this inspire me to pull up my socks, clean up the mess and look forward to all the possibilities a new year on the allotment will bring. Variety! I say it so often, but it’s an incredibly important factor in defining the benefit of growing your own fruit and veg. Don’t believe me? Check out this post for tomato inspiration alone. 5. Autumn sowing for winter leaves and spring flowers. It’s often the case that we think the gardening season ends with the summer. I know I always find few neighbours on the allotments during the autumn and winter and I always think it such a shame. For me, the autumn and winter are the best time to get head, get on top and be ready for the spring. It’s also the case that many things can be sown as the summer dies to provide harvests even in the winter months. This post by Caro provides plenty of ideas to whet that appetite for all that cool season produce you will want to pluck from the plot and plonk in your tummy. 6. Allotment Monsters. I love when I discover another allotment or kitchen garden blog to add to my feed. Here’s Karen. Self-confessed allotment addict and her drug of choice is the pumpkin. Seriously, there is an unbelievable amount growing on her plot. Here’s just one example of her vice. 7. Seasonal family food: Summer Tomato Tart. Despite the disaster with my tomatoes this year, I did get a surprisingly large harvest from the plants. When I shared these on my Instagram page last month, Sarah gave me a wonderful suggestion on how to use them. I suggest you drool and use her recipe to your advantage with those remaining tomatoes – you lucky gits. 8. Outdoor mini aubergines for pots and containers in small spaces. I’d love as many people as possible to take on an allotment. However, it’s not always possible. I think the most important thing is simply to get people growing their own with whatever space they have available. There is a surprising amount of crops you can grow in a small space and including pots. It was the trigger for my own veg growing passion 10 years ago when I grew tomatoes and chillies on pots in a tiny backyard. This is a brilliant example of what is possible in a pot in the space you have available. Better still, is yours courtesy of the brilliant Jack Wallington. 9. Taking Time Out. This post by Katie resonated with me this past month. Life is busy. The summer, in particular, can be a hectic run-around and less of a welcome break for many of us as we juggle chores, work, holidays and everything else. It’s easy to forget that the allotment or our garden is not just another task to manage on the ever-increasing to-do list. I know I’ve been guilty of seeing it like that this summer. It is a place that provides us with joy and time away from all that other stuff too. When you realign that view with the perspective that drew many of us to allotment gardening in the first place, you can ensure it is always a sanctuary and a space in which you can indeed take time out. 10. A New Nottingham Garden. Here is another inspiring post which demonstrates how people, drawn by the desire to grow some of their own vegetables, utilise the space they have available. Not only is this an effective use of the space Andros has, the containers used to grow the tasty crops are beautiful too. Thanks so much for including my blog on your list! Always a pleasure Valonia. Hope you are well and all good on the plot? Hi Great Blog . I am new to blogging and have had an allotment for 10 years. You will be able to read about my allotmenteering and all things homely at homelygirl.co.uk . Hello! Fantastic. I’ll add your blog to my reading list.